On this eight day Chile skiing safari we make our way into the High Andes Mountains, on the door step of Mount Aconcagua, and explore the mythical ski resorts of Portillo, Valle Nevado, La Parva and El Colorado. This Chile Ski Safari combines all the best resort skiing in Chile’s central region. With our personable guides, superb cuisine, and comfortable lodging you will be able to ski Chile’s world class resorts in total ease. For a first day bonus we will visit one of Chile’s classic vineyards. Snow Skiing Chile! Our company representative will meet you at the international airport in Santiago de Chile. Once our Chile skiing group is assembled we will climb out of Chile's capital (543 meters, or 1,781feet), along the Mapocho River canyon, and into the massive cordillera of the Andes. We arrive to the Chile ski resort of Valle Nevado at 3,025 meters (9,860 feet) famous for powder skiing, and phenomenal views of the Andes Mountain Range. Valle Nevado offers us a great day to explore the expansive resort, and enjoy the fantastic views under the shadows of the Andean Condor frequently seen soaring above these Chile ski slopes. Here, you can ride as high as 3,670 meters (12,400 feet) above sea level. Valle Nevado is a great place to kick off our skiing in Chile holiday! Valley Nevado was founded in 1988 by a French/Chile skiing company at the foot of El Plomo Mountain and its design was inspired by modern day European ski resorts. Valle Nevado is Chile’s newest and largest ski area and is adjacent to the ski areas of La Parva and El Colorado. All three Chile skiing resorts are referred to as the “Tres Valles” (the tree valleys of the Andes), with over 10,000 hectares of skiing terrain and over 100 kilometers of Andes skiing runs. A single lift pass can give one access to all three Chile ski resorts. Cerro Plomo rises to a height of 3,670 meters (12,400 feet) above sea level and Valle Nevado offers Heli-skiing on the nearby peaks reaching up to 4,200 meters (Over 13,600 ft.)! We will spend the next two nights at a cozy alpine hotel, where breakfast and dinner are included with our stay. Our slope side lodging eliminates the possibility of missing the deep snow if the pass from Santiago and Villa Farellones closes. The skiing hotels of Valle Nevado also offer a weight room, heated pool, movies, discothèque, pubs, live music, and more! Chile skiing at its best! The skiing at Valley Nevado is all above tree line but less steep than the slopes of Portillo. Twenty percent of the trails are designed for expert skiers with the majority of the mountain accessible to intermediates. There are also a number of steep chutes and plenty off-piste terrain. Valle Nevado is a ski resort offers something for everyone. For expert powder skiers Valle Nevado has its own private Bell 407 helicopter which gives skiers access to some of the greatest untouched skiing slopes in the Andes. 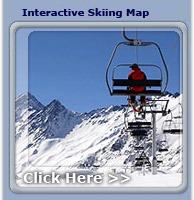 Heli-skiing is offered per run from as little as $150. A minimum of four people is required to fly, with a maximum of five. With a maximum elevation of 13,800 feet, descents of 8,200 feet are possible. Valle Nevado is an all inclusive Chile skiing resort high in the Andes Mountains so everything that involves skiing or après skiing happens around the three principle hotels that comprise the resort. There are numerous restaurants in the Valle Nevado village, some with famous European chefs, several pubs and discothèques. If roads conditions are good we may a have the opportunity to travel back to Villa Farellones for some enjoyable nightlife as we do on many of our our Patagonia ski trips. In the afternoon we will drive down to Santiago, check into our comfortable hotel in Las Condes before our chile ski guides take you to one of our favorite restaurants in Santiago. For those that want to continue the evening, nightlife in the city is excellent with endless options stretching until the following morning! If you are looking to get a good night sleep, your hotel welcomes you. After an early breakfast buffet, we head due north, for a two hour drive into the high cordillera of the Andes Mountains. Near the slopes of South America's highest peak, Aconcagua, the spectacular Portillo Resort awaits us. Our mid-morning arrival has us skiing on the mountain before lunch. Portillo is Chile’s first snow skiing resort, and at one time, if you were going to ski in Chile, Portillo was the only place to. It was founded in 1949 and still resembles the old photos of Sun Valley, Idaho before the ski village of Ketchum grew up around it. Unlike Sun Valley, the Portillo Resort is situated directly on the mountain providing its guests with ski-in/ski-out accommodations. The advantage of this is obvious after a deep snowstorm blankets the Andes and cuts the only road out, to the town of Los Andes, then the mountain is closed to all outsiders but the residents of Portillo. When this happens one can ski untracked Andean powder for days! The size of this Chile ski lodge is intimate, with a maximum capacity of about 400 guests, and it allows you get to know everyone there. It features a heated outdoor swimming pool, nearby lake, internet access, fitness room, sauna, yoga & aerobics classes, movies, live bands, piano bar, discothèque and international clientele. Chile snow skiing does not get better than this! Portillo was rated as one of the top ten ski resorts in the world by Warren Miller Entertainment, Ski Magazine, and the Travel Channel. For those interested, Portillo also offers an Andes Heli-Skiing option. The snow skiing at Portillo is split about forty / forty between intermediate and expert trails with the remaining twenty percent being accessible to beginner skiers. The powder at Portillo resembles that of Alta / Snowbird in the Wasatch Mountains of Utah, with the high altitude accounting for the dry conditions. It is not un- similar to skiing in Patagonia. The mountain is steeper than many of the others we ski in Argentina or Chile with terrain for real experts. The US Olympic and downhill teams train in Portillo over the summer which is a testament to the quality of the skiing in Chile’s central region. Portillo is an all inclusive Chile skiing resort high in the Andes Mountains so everything that involves skiing or après skiing happens at the Portillo Lodge. Many visitors describe being at Portillo as being on a cruise ship for a week. If the nightlife of resort towns is a big attraction consider one our Patagonia skiing trips where we go back to town everynight. Today will be our last day skiing in Chile on the slopes of Portillo. With Evening flights back to the USA, Canada, and Europe, we are able to enjoy another Chile skiing day. Now is your chance to go bag that run you have been eyeing or return to your favorites. In the afternoon, your transfer will get you to the airport or your hotel in Santiago if you are continuing on in South America. And, if you are interested in more South America skiing after this epic trip we suggest trying one of our Argentina Skiing or Skiing Patagonia packages.